"The BJP blatantly betrayed the people and failed to fulfil the election promises, have no moral right to release a new manifesto." she said. "The BJP should have issued an action-taken report instead," the BSP chief said. After the ruling BJP released its manifesto for the national elections today, BSP chief Mayawati launched a sharp attack today, saying that the party which had failed to fulfil promises made in 2014 had no moral right to release a fresh manifesto and should have issued an action-taken report instead. "The BJP and the Narendra Modi government, which blatantly betrayed the people and failed to fulfil the election promises, have no moral right to release a new manifesto. 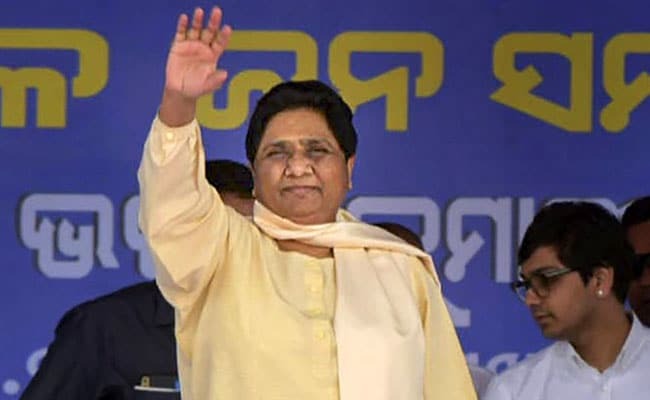 People cannot believe them, and they should tender an apology to the people as they have only worked for the capitalists," the Bahujan Samaj Party (BSP) president said. "The BJP should have issued an action-taken report, instead of the new manifesto, but they do not have the courage to do so," she added. "Barring a handful of capitalists, the 130 crore people (of India) are still waiting for the promised ''achche din'' and Rs 15 lakh in their bank accounts," the former Uttar Pradesh chief minister said and asked how such an "anti-poor, irresponsible and jumlebaaz" government be truly patriotic. The BJP had tried to mislead the people by making big promises in 2014 and it was doing the same this time round, but people had come to see the true face of the party, Mayawati said, while terming BJP's manifesto an "illusion".